The variability of Arctic total ozone in the winter of 2015/2016 is studied using the data of the national network equipped with M-124 filter ozonometers and satellite monitoring. The first ozone mini-hole that emerged in the first half-year over the whole history of observations (developed at the end of January 2016) is analyzed. 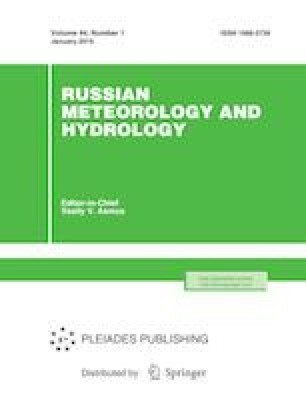 The reasons for the total ozone variability over Russia in the first quarter of 2016 are analyzed, and the comparison with the significant Arctic ozone anomalies in 1996/1997 and 2010/2011 is presented. Russian Text © M.P. Nikiforova, P.N. Vargin, A.M. Zvyagintsev, 2019, published in Meteorologiya i Gidrologiya, 2019, No. 1, pp. 36–49.